EVERY SEAT IS A VIP ! Grammy award winning Megadeth bassist, author, entrepreneur, and metal icon David Ellefson has announced more dates for his Basstory tour, a series of limited and exclusive “Storytellers” dates, starting September 20th in Portland, OR. Dubbed Basstory “Master Class”: An Intimate Evening Of Riffs And Repartee With David Ellefson, the show combines solo bass performance with David’s celebrated brand of storytelling, as he recounts intimate details of his struggles and triumphs in the name of rock n’ roll. Says Ellefson, “I have always done clinics, and a few years ago did an amazing spoken word tour in Australia to support my book My Life With ‘Deth, and have always welcomed the opportunity to be able to meet and connect with fans on a more intimate level. These important parts of my professional life converged to create Basstory. Not only will fans get to hear some of their favorite bass riffs, but the stories behind them. It’s not often I get to get into small, intimate rock clubs, the way this all started, and I’m excited for fans to get to experience this show. 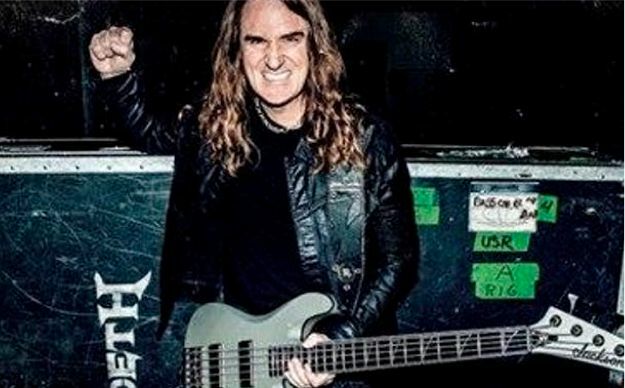 From humble farm roots in rural Minnesota, David Ellefson has come a long way, literally and figuratively, to conquering stages around the World as bassist of thrash metal titans MEGADETH. Revered for his unique, hard-hitting playing style, and unwavering dedication to his musical craft, Ellefson has woven a vast professional tapestry as a bassist, songwriter, record producer, clinician and author. As a member of MEGADETH, he has been awarded 10 Grammy nominations, countless gold & platinum records and toured the world for the better part of 3 decades.